I am the owner and also a regular author here at psd-dude.com. I am a freelancer trying to make a living out of my design skills. I'm really passionate about so many design related areas, always wanting to learn new techniques and get in touch with other artists. I love to write Photoshop tuts and get in touch with amazing digital artists! How to draw a line in Photoshop? This might seem easy but, for a beginner is good to know some basic methods to draw Photoshop lines. From this tutorial you will learn three simple ways to draw a line in Photoshop. You can use the Brush Tool, the Pen Tool and the Line Tool to make simple straight lines. These methods work both in Photoshop CS and CC 2018 and 2019. 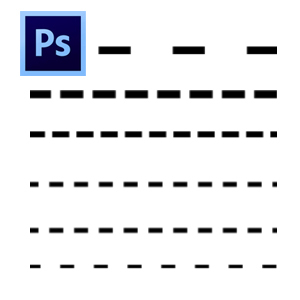 Learn how to create a dashed line in Photoshop from this tutorial for beginners. To draw Photoshop dashed lines is really easy if you have a dashed line brush to work with. Outline Photoshop effect tutorial for beginners. Quick and easy tutorial to create outline in Photoshop. The Photoshop stroke text effect is really easy to make. You can use the outline for text, shapes and images. Chalk effect Photoshop tutorial for beginners. Create realistic chalk effect in Photoshop using sketch filters and a chalkboard background. Turn your photo into a chalk drawing using Photoshop in just a few easy steps. 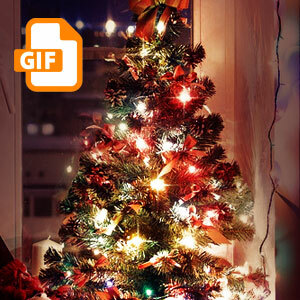 Christmas lights animated gif Photoshop tutorial for beginners. Learn how to create animated Christmas lights in Photoshop using your Christmas photos. You can also use other images with lights to create animated light effect. Learn how to create a spooky ghost text effect in Photoshop with a creepy forest background. You can easily replace the background with one of these dark Gothic backgrounds free stock images. Create interesting manipulations for this year Halloween party using this spooky text style. Learn how to create a delicious 3D cake text effect in Photoshop using layer styles, 3D action generators and cake patterns. This is a tutorial also for Photoshop beginners that will learn new things and techniques. You have to download the sweets cake patterns that I used in order to create this effect. In this tutorial you will learn how to create realistic hair and fur in Photoshop using some simple yet effective techniques. This can be used as animal hair or as human hair so it is a versatile effect. With the right color tones it can even be used as grass.